Want to know how to get kids back into the kitchen? You need these 7 easy bakes to make with kids! 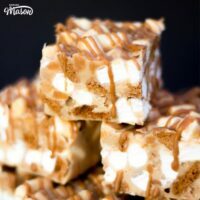 Full of tempting yet very simple treats, there’s no way they’ll be able to resist getting their hands dirty with these easy and delicious recipes. One of the hardest things, I think, is trying to get a child to read and follow a recipe. How do we solve that? 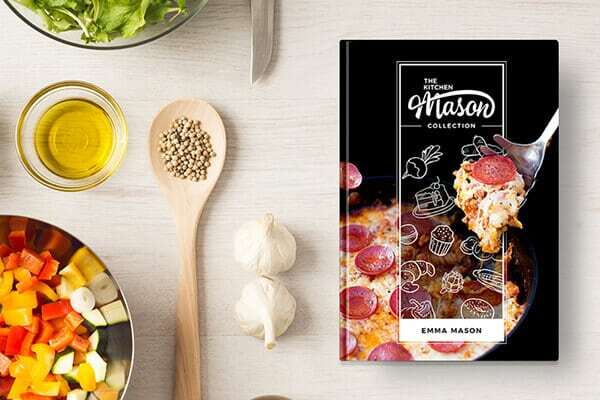 The Kitchen Mason way of course! With my super easy to follow step by step picture recipes – even if they can’t read yet, it’ll make it super easy for them to keep track of their own progress. It’s also a great way to get them problem solving if things don’t quite go to plan. 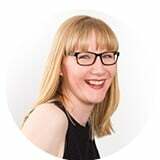 Want a FREE e-cookbook and my top 5 tips to GUARANTEE baking success? It’s such a wonderful thing to bake with children. There’s something just so beautiful that happens when you make things with a child – it’s the perfect way to bond! Not only that, but the kids feel such a great sense of achievement when they have something delicious to show for it at the end too. It’s just magical. What makes a recipe easy for kids? The real joy of baking with kids is that you get to help them in any areas they struggle with and praise them on the things they’re good at. It’s all about spending quality time with them – which is the best bit isn’t it? Want to make baking with kids even more special? Check out my handy product guide full of tools perfect for little fingers, to make those special moments even more precious. Get them back into the kitchen and create something delicious together with these 7 Easy Bakes to Make With the Kids! 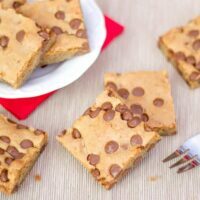 No faffing rolling dough into balls, just press it into a tin and you'll be rewarded with these EPIC choc chip cookie bars! Easy peasy. 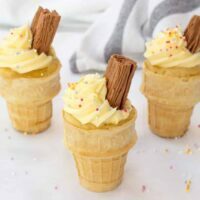 So much fun to make - these super cute vanilla cupcakes look just like little ice creams! And made using the microwave too. SUPER kid friendly recipe! 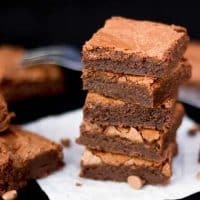 Yielding the most decadent, rich and fudgy brownies I've EVER come across - you wouldn't believe how crazy simple these easy one bowl brownies are to make! 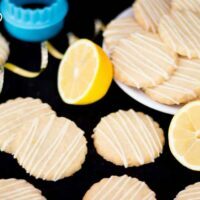 Yep - you really do need just 4 ingredients to make these super simple and delicious lemon cookies! I fondly remember making tiffin with my Gran when I was a little girl. 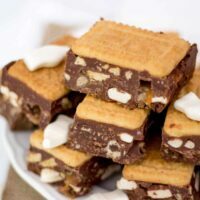 Make yours more interesting with this simple, treat filled malted milk version! 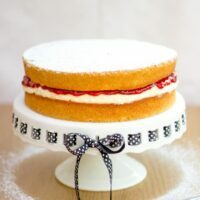 This super simple 'all in one' Victoria sandwich recipe couldn't be any easier to make if you tried! Definitely one that will become a firm family favourite. I LOVE it when you share what you’ve made! 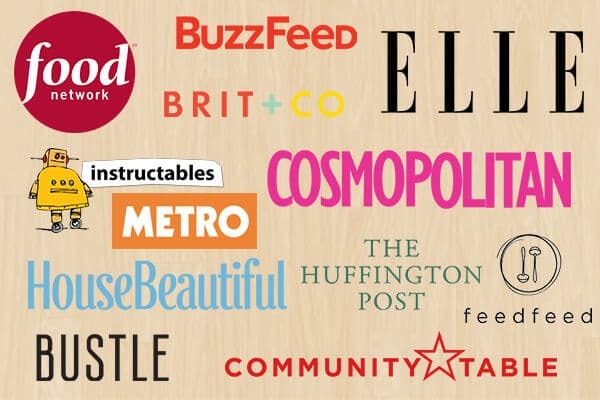 You can get in touch by leaving a comment below, tagging me on social media or sending me an email. I don’t mind how, I just love hearing from you!